Many new developments require outfalls into streams & rivers or to balancing ponds. 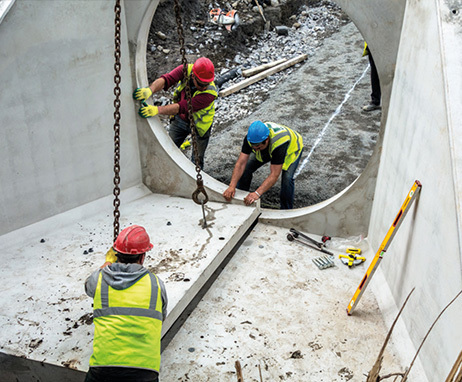 JDP supply a range of headwalls to prevent bank erosion, including small glass reinforced concrete (GRC), large preformed concrete and also polymer headwalls. This range caters for stadnard pipe sizes from 100mm to 900mm diameter and larger. These can be fitted with a full range of accessories including handrails, pipe guards, trash screens, anti vermin grills, flap valves and penstocks. Particularly applicable in cases where limited installation time is given due to tides etc.